Today we celebrate the birthday of Bill Aucoin in loving memory. Love you Gui. Miss you. Have a very Merry Christmas. 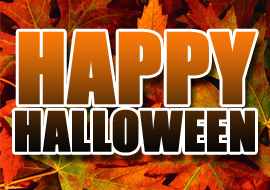 Be safe and enjoy your loved ones. Happy 69th Birthday to Peter Criss! The loss of another legend. 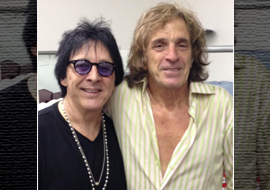 Our prayers and love to all of Bobby's family, fans, and bandmate's. My love and respect. PeterCriss.net webmaster, Ralph Asbury, has designed and released a limited edition collectors coin in honor of the 40th anniversary of JAWS and the iconic image created by artist Roger Kastel. Limited to 500 pieces, this awesome coin is a great addition to any collection. Visit www.JawsCoin.com to order yours today! Thank You All Things That Rock! 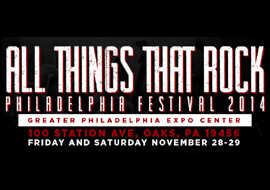 Thank you to everyone who came out to see me at the All Things That Rock Festival in Oaks, PA that past weekend. It was a pleasure to meet you all. Thank you to Scott and Matt, along with their staff, for putting on the event. And thank you to my crew Ralph, Bill, Dave, Mark, Vinnie, and Zsa Zsa for your help and hard work. Happy Thanksgiving to everyone! 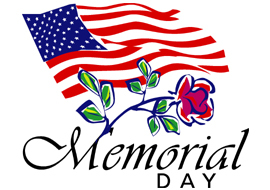 Enjoy your friends, family, and loved ones! Today we celebrate the life of the great Eric Carr. It's hard to believe that it has been 23 years since he left us. Our thoughts and prayers are with his family as we remember the great man, friend, and musician that will always be in our hearts. 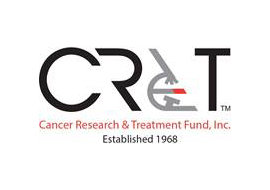 On November 18th, 2014, founding KISS drummer and cancer survivor, Peter Criss, will be among the honorees at this years Cancer Research & Treatment Fund's Hall of Fame Event. 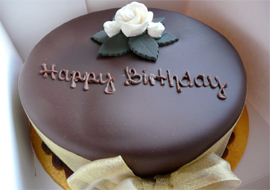 Happy Birthday to the wonderful Gigi Criss!! 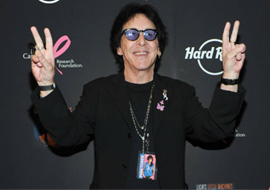 Join Peter Criss as he walks at the annual Making Strides Against Breast Cancer in Point Pleasant Beach, NJ. The walk takes place on Sunday October 19th at 8am at the corner of Ocean Ave. and Arnold Ave.
Hall of Fame drummer and founding member of KISS, Peter Criss, will be appearing at the All Things That Rock Festival. Come out and see the one and only Catman on November 28 and 29 in Oaks, PA just outside Philadelphia! 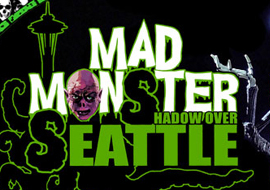 A huge thank you to everyone who came out to see me in Seattle, WA at the Mad Monster Party! As always, Eben and his staff gave us a great time. Thank you to Karen for helping us, and Danny Stanton who always does a great job for us!! We will never forget those who lost their lives on 9/11 as well as their friends and families. We lost another great one. 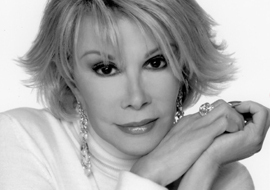 Our prayers are with her family and all who loved her. 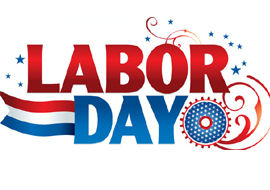 Wishing everyone a happy and safe Labor Day this year. Enjoy! 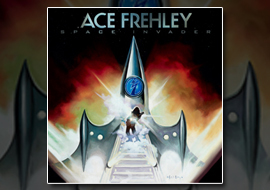 Congratulations to the one and only Spaceman, Ace Frehley, on today's release of his new album, Space Invader! I wish you all the best with the new album! 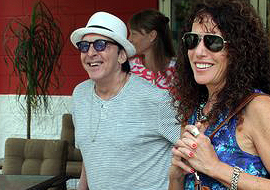 When Peter Criss, founding drummer of the band Kiss and honorary chairman of this years 10,000 Hot Dogs hunger benefit, visited the FoodBank of Monmouth and Ocean Counties in Neptune on Monday, Aug. 18th, his world was rocked. 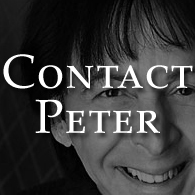 Founding KISS Drummer, Peter Criss, will be appearing at the Mad Monser Party in Seattle, WA on Friday, Oct. 3rd & Saturday, Oct. 4th (Sunday, Oct. 5 not yet confirmed). The event takes place at the Hyatt Regency Bellevue located in Bellevue, WA. 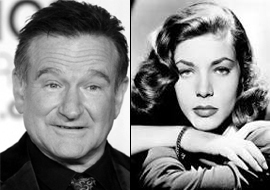 Our thoughts and prayers go out to the families of Robin Williams and Lauren Bacall. We lost two of the true greats. Thank you for everything you have given us. 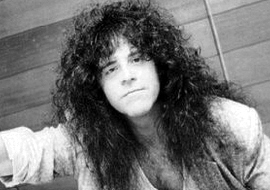 July 12, 2014 would have been the 64th birthday of the great Eric Carr. He was a wonderful man and a great musician. We are thinking of Eric, along with his friends and family today. 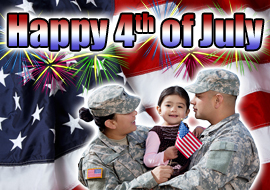 Have a happy and safe holiday weekend this 4th of July. While celebrating the independence of our great country, also celebrate the great men and women of our military who sacrifice so much for us. Thank you to each and every one of you! 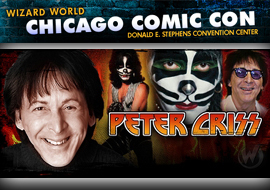 Peter Criss is Coming to Wizard World Chicago! 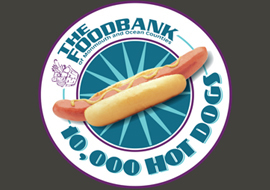 Peter Criss, the founding drummer for Kiss, has signed on to be an honorary chairman of 10,000 Hot Dogs, a summer-long benefit for the FoodBank of Monmouth and Ocean counties. "Summer time is fun on a bun," said Criss, a resident of Wall, NJ in a statement. "Help us feed our community and feed the hungry." Congratulations Corky. It was my honor. Tune in to HBO on Saturday, May 31, 2014 at 8pm for the first airing of the 2014 Rock and Roll Hall of Fame Induction Ceremony. 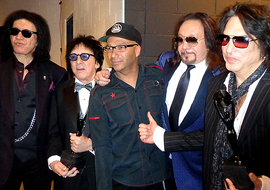 Watch as the one and only Catman, Peter Criss, is inducted into the Rock and Roll Hall of Fame along side the other founding members of KISS, as well as Hall and Oates, Cat Stevens, Nirvana, Linda Ronstadt, and the E Street Band!! 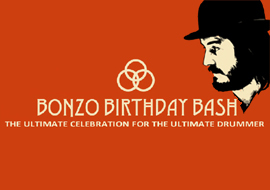 Brian Tichy brings Bonzo Bash back to Bergen PAC in New Jersey on May 31 to celebrate the legendary drumming of Led Zeppelin’s John Bonham. 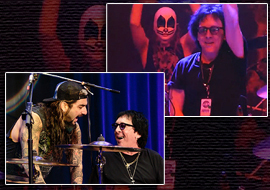 Founding KISS drummer, Peter Criss, will be making a special appearance. Drummers scheduled to perform include Zach Alford (David Bowie/B-52s/Bruce Springsteen), Will Calhoun (Living Colour), Joe Franco (Good Rats/Twisted Sister), Jerry Gaskill (King’s X), John Hummel (Lady Gaga), Johnny Kelly (Kill Devil Hill/Danzig/Type O Negative), Corky Laing (Mountain), Danny Lamagna (Sworn Enemy), Ron Lipnicki (Overkill) and many more! Thank You Ginger and Mike Portnoy! Thank you Ginger and Mike for giving me such a good time! It was a huge honor for me to play with you guys as well! It was such a honor to play with you the other night at the 93.3 WMMR MMR*B*Q. It's one of those times when if someone told me when I was 13 years old that a few years from now I will be playing on stage in front of 25,000 people with Peter Criss, I would have said "You're Insane". What a dream come true. Being a drummer has always been an uphill climb. To work and work for so many years, & then to be disrespected by others in this industry is so disheartening. I can't thank you and Rob enough for showing me such respect, and allowing me to be a part of such a magical moment. The mere thought of stepping down while I watch the others bask in the moment just isn't the Zombie way. Rob cares that everyone has a wonderful time, including his drummer. The party is just beginning. I look forward to spending the next decade talking with you, & learning how to be so respectable to others, so one day I might return the favor. 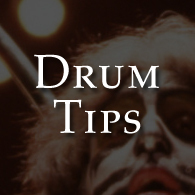 Peter Criss will always be one of my biggest drum heroes...seeing Kiss live at Madison Square Garden in 1977 was absolutely a life-altering experience for me. 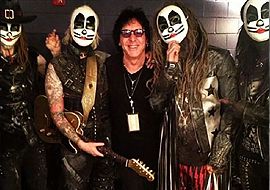 Peter Criss made a special appearance at the Rob Zombie show last night, May 10, 2014, at the Susquehanna Bank Center in Camden, New Jersey. The one and only Catman joined the band on stage to play drums on the KISS classic, God of Thunder! 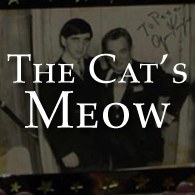 May 3rd, 2014 marks the 16th Wedding Anniversary of Peter and Gigi Criss! 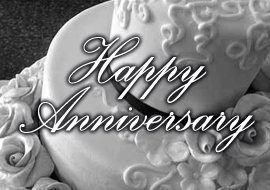 We at PeterCriss.net wish you many more years of happiness together! Happy Birthday to the one and only Spaceman, Ace Frehley. To the Rock n Roll Hall of Fame Class of 2014, Congratulations! Thank you for all your love and dedication KISS Army. My award is dedicated to you, the fans. Thank you for giving me my legacy. I love you. I am very sad to hear that actor Mickey Rooney has passed away at age 93. I have enjoyed his many films and television appearances over his long and wonderful career including Babes in Arms, Strike Up the Band, and Crazy Girl. My thoughts and prayers are with Mickey as well as his family and friends. Peter Criscuola, a founding member of Kiss, AKA Peter “Catman” Criss and one of rock’s influential drumming legends, will be respectfully acknowledged April 2014, when he and bandmates Gene Simmons, Paul Stanley, and Ace Frehley are inducted into the Rock and Roll Hall of Fame. 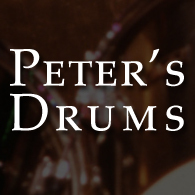 In this very candid, three-part interview for MD online, Peter is very sincere and thankful for the life he’s been given. 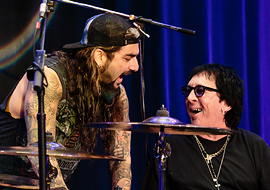 Founding KISS drummer, Peter Criss, will be appearing on That Metal Show hosted by Eddie Trunk on VH1 Classic. Also appearing on the show is fellow drummer Richard Christy. "That Metal Show" airs this Saturday, March 22 at 11:00 p.m. ET/PT. It's disappointing to have to say to you, the fans, that as of today, Ace and I have been denied a performance with Gene and Paul for our Rock and Roll Hall of Fame induction. Tickets go on sale on Monday, Feb. 24th, and I wanted to make sure that fans understood that no original performance, in or out of makeup, has been offered to us before they purchased their tickets. This is disgraceful and I feel bad for the fans who were looking forward to the four of us being inducted together. I hope everybody has a great day with their special Valentine! Enjoy! Just found out about the Passing of Ken Anderson, the Vice President of production for KISS from 1976 -1982 . Our love and prayers go out to his family. I wish everyone a very happy, healthy, and safe 2014!! !